The earthquake just now was just magnitude 4.7, but it really shook my house! Here’s the strength level map. On the Japanese scale it was a 3 out of a maximum scale in Tokyo. 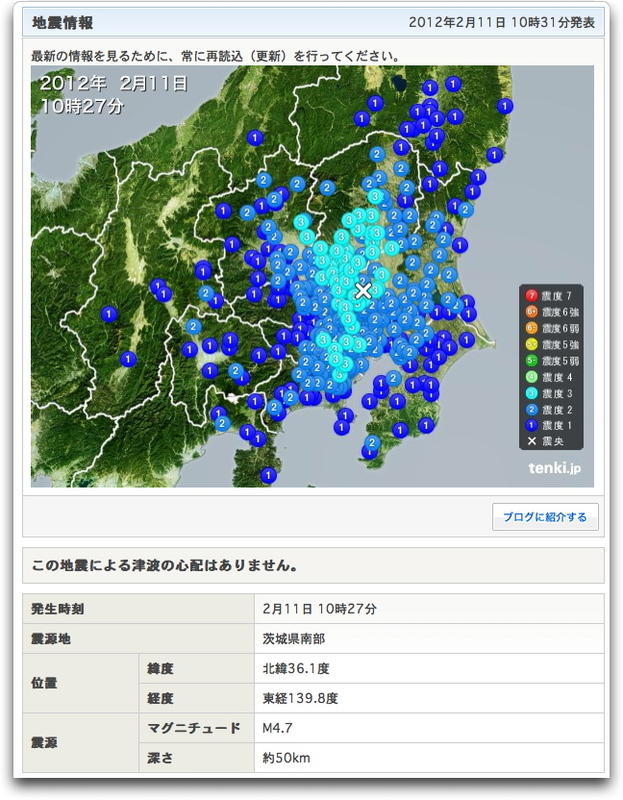 It looks like the epicenter was in southern Ibaraki, but as you can see very close to Tokyo.